When it comes to building a strong digital presence, optimizing a brand’s website remains only the first step. Customers interact with brands across a number of different platforms. Search engines also look at how a brand and its website are viewed across the web. To build search rankings and reputation, organizations want to make sure they take advantage of their opportunities to build their off-page SEO. For brands interested in cultivating their off-page SEO strategy, here are the top 5 ideas that we have seen members of the customer community use with the greatest success. While the strength of social backlinks and SEO is ambiguous, social activity has a positive impact on visibility and traffic. Social signals like Likes and Follows and Positive reviews do support SEO rank. Social media is a powerful means of promoting content to new audiences. According to Statista, an estimated 77% of people in the United States have at least one social media profile, making it a great way to reach a large percentage of your prospective audience. The key to using social media well, however, is understanding how the different platforms appeal to different populations and therefore identifying the ones that appeal the most to your audience. Secondly, think about how well the platform would cater to your business. For example, certain platforms, like Instagram and Snapchat, have a heavily visual component— making them an excellent place to feature brands in cosmetics, fashion, or even travel. Once you identify the appropriate social media platforms for your audience, you then need to analyze the type of content that people like to read on those platforms. Promote material that will provide them with value, combining with material that might not have been published by you but still would be appreciated. Most brands will not want to promote content written by direct competitors, but news articles or other interest pieces that apply to your audience will help you maintain a profile focused on engagement and enrichment for your users rather than using it as a soapbox, which tends to lower user interest. As you begin to promote content on social media, analyze the success rates you have from your efforts. Look at your engagement rates on the platform itself–including the traffic growth of your page overall and how well people respond to individual posts–as well as how your promoting impacts traffic on your page. You can track these metrics on the BrightEdge platform, which will let you see your traffic rates for particular pieces of content as well as track social metrics from several platforms, including Facebook and Twitter. Read more about the latest with Facebook and marketing in this piece here. Learn more about marketing on Pinterest and Instagram. Although some count YouTube as a social media platform, we feel it deserves its own category and vertical search engine because of the importance it plays in offsite SEO. Users watch an estimated one billion hours of video on YouTube each day. If it was counted as a search engine, it would be the second largest–behind only Google itself. Brands can use YouTube to create promotional and informational content for their target audience. Keep in mind that people access YouTube for information and entertainment, they do not want to be subject to endless advertisements. Therefore, do not create videos that would better fit with a promotional segment on TV. Your videos should aim to inform and entertain. YouTube can provide you with a powerful platform for expanding your audience and bringing in fresh traffic. Not only can it powerfully boost your site engagement and brand recognition, but it can also add links that point to your site, encouraging people to click through to your page. Make sure to prepare and tag your YouTube videos to improve visibility. For more information about how to thrive with YouTube, read this piece here. Google has said that guest post links should be no-follow, so guest posting can help you reach new audiences and generate traffic. Guest posting is done best when you find a website with a target audience similar to your own. To find good places to guest post, look for industry publications that accept submissions. You can also look for influencers nurturing a community within the industry, though you will want to stay away from competitors. When you begin to generate guest posts, it is important to understand the genuine value you generate for your site. While you can occasionally generate a quality backlinks or two, most publications will use NO FOLLOW tags within their site to ensure that they do not just become regarded as a backlinks mill and to keep the focus on publishing quality content from a variety of sources within the industry. You should instead look upon guest posting as an opportunity to build your own credentials and generate brand recognition. You will get your name and that of your brand in front of a prospective audiencs interested in your industry. As people then come across your brand on other platforms–including your website, you will have built a stronger reputation in the minds of these prospects, generating opportunities to guide them into your sales funnel. You may also have occasional opportunities to link back to your own content or research. Even though the link might be a ‘no follow’ it can still generate traffic for your site and offer more opportunities to draw in new prospects and encourage people to engage further with your content. Once you have brought people to your site and convinced them to provide their email, well-structured email campaigns can be a great way to keep people engaged and returning to the site. To properly create an email campaign, you need to make sure you completely understand the consumer segment your prospective customer falls into. Consider their pain points and what will interest them most in your company. Segment your email campaign based on factors including their customer persona, their place in the buyer’s journey, geographic location, company size, and any other factor that might influence their content interests. You can then use email to drive traffic towards your site, keeping your prospective customers engaged with your organization, and progressing through the sales funnel. 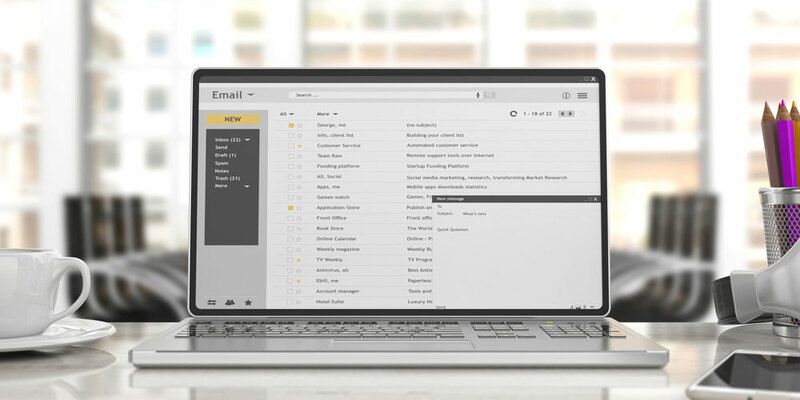 Read more about maximizing your email potential by reading this BrightEdge blog here. For general search, Google dominates the landscape by a significant margin. Within particular sectors, however, vertical searches have begun to create a strong presence. For example, eMarketer states that more ecommerce searches begin on Amazon than Google. Similarly, sites like Kayak for flights and Yelp for local businesses similarly can be valuable. Consider the search verticals that matter the most to your business and build a strong profile for them. For example, a local business should work on cultivating positive reviews on Yelp and Google My Business and fill out their complete profile complete with pictures and active engagement with users on the platform. You can read in this BrightEdge blog on vertical search. To further build your business’ reputation within your sector, focus some of your content development on developing unique ideas and research. By adding this insight for your audience and others in your industry, you will generate considerable value for off-site SEO. Your customers will view you as a thought leader at the forefront of your industry. You will cast yourself as someone worthy of trust for your existing and prospective customers, which will drive traffic and conversions throughout your site. You will also encourage more people to link back to your research. By providing others in your industry with information of interest, people will naturally use your content in their own material, building your backlinks, and therefore your authority, within your sector. This builds your share of voice and your rankings for your website. Do off-page SEO strategies work for businesses of all sizes? Most of these strategies can be adapted for businesses of all sizes, although of course emphasis will change depending upon the size and sector of the organization. Small local businesses, for example, will likely employ greater use of social media to engage with the local community. They will also want to pay close attention to local search verticals, including Yelp. Similarly, larger businesses will similarly want to focus on social media, but will also want to build their reputation through research and engagement through email. Although focusing on your website and optimizing individual pages provides value for your users, building a strong web presence across multiple platforms and through off-site SEO will increase your brand’s reputation and presence. See how many of these off-page SEO strategies you can put to use in your SEO strategy.